According to reports in the Financial Times and elsewhere, Toshiba has made an offer of around $340 million to $450 million to acquire Fujitsu's hard-drive manufacturing division. Competitor Western Digital was previously said to be interested in acquiring the business. 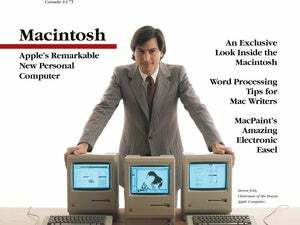 Normally I wouldn't bore you with little stories about mergers and acqusitions, but this one actually bears a little relevance for us Mac users. My MacBook, probably like most of your Apple laptops, runs on a Fujitsu hard drive. But Toshiba already has a strong foothold in the data storage market—they make tons of flash drives, chips, and cards. Meanwhile, Seagate, Western Digital, and other companies are all ahead of Toshiba in the field for standard 3.5-inch drives. As the industry consolidates, Toshiba could take advantage of charging higher prices for laptop drives, especially in an environment where demand for laptops is growing. That said, let's just hope that if this deal does go through, then Toshiba will help get the price of flash memory for laptops down. Who among us wouldn't want an SSD in a MacBook?